The Pride on the Boulevard festival would provide free access to visitors, booths for local non-profit organizations and a stage for local LGBT performers, addressing concerns raised in the past. Madonna Cacciatore, the executive director of CSW, also noted that it would not include food and beverage vendors, which would encourage those attending to visit local businesses in that area of bars and restaurants known as Boystown. Duran said he generally supported the new footprint, however he was concerned about the impact of closing Santa Monica Boulevard from 10 a.m. on Friday, June 7, through 7 a.m. on Monday, June 10, as CSW proposed. Councilmember John Heilman and Mayor D’Amico said they shared that concern. While the festival In response, Jeff Consoletti, whose JJLA produces the event, said the boulevard could be reopened as early as 5 a.m.. to accommodate early rush hour traffic. City staffers estimate that moving the festival onto Santa Monica Boulevard would cost the city an additional $418,000. While CSW didn’t present a budget for the event, in years past it was cost the city about $1.2 million. “We are beginning to move more of the festival out into the streets of West Hollywood. I think that is a good thing. It would then more closely resemble the Castro in San Francisco and the Pride event in New York City,” Duran said. The Council asked the city staff to consider a larger footprint for this year’s festival. It also voted to add Heilman to the two-person CSW/Pride subcommittee, which currently includes John D’Amico. John Duran had served on the subcommittee previously. I like the idea of expanding the festival onto Robertson between Melrose & Santa Monica Blvd., You can’t block traffic on Santa Monica Blvd., that many days straight. It is a major artery that connects DT LA to Beverly Hills, Santa Monica…. It would be to disruptive and inconvenience citizens. Blocking Robertson off for that length of time is much easier to achieve. The article failed to mention the impact that construction in WeHo park has had on available space for pride. This is what led to last year’s chaos and necessitates the closure of SMB in order to accommodate the crowds. I actually think the current need to expand onto the Blvd offers a great opportunity to experiment with new ways to improve the festival, especially by making it accessible to those who cannot afford a normal ticket. We have collectively lamented for decades that the creative city did not know how to throw a pride event, and having attended pride events in cities across the globe, including New York, Chicago, London, Paris and Sydney, for too many years I agreed. Now we have well thought out proposals to change that and take the focus out of the gates and into the community through a larger footprint on Santa Monica Boulevard which would be accessible to far more people. There will be inconveniences, to be sure, but street fairs and festivals are a hallmark of urban living. I have attended CSW pride weekend events for most of the 31 years that I’ve lived in the area. Increasingly, as I get older, I question its relevance to the life of someone of my age. It is relevant. It is relevant because I want to be another number in crowds that show kids from the provinces that there are safe places for them to be. I want to show people of all ages who struggle with identity that there is community. I applaud the plans that Madonna and Estevan put forth while working with city staff. I hope the council can get past micromanaging the details and/or playing politics, as is likely the case of one who was roundly criticized by the board chair of CSW on an unrelated matter. Two years ago I would have agreed with Duran’s suggestion that the city take a more active role, but there is new and fresh leadership at CSW which has clearly shown its ability to rethink the entire CSW program, and not just on pride weekend, and they should be afforded the chance to display their vision and work. If the city of West Hollywood chooses to hinder the plans through micromanaging and playing politics, then move it downtown where it likely belongs. There’s nothing about pride that makes its adjacency to bars and clubs a requirement, other than parochial interests. We all have to remember that at some point we were all that kid from the provinces. We have to be prepared if Christopher Street West decamps to Los Angeles; West Hollywood will always have the option of having our own Pride event. 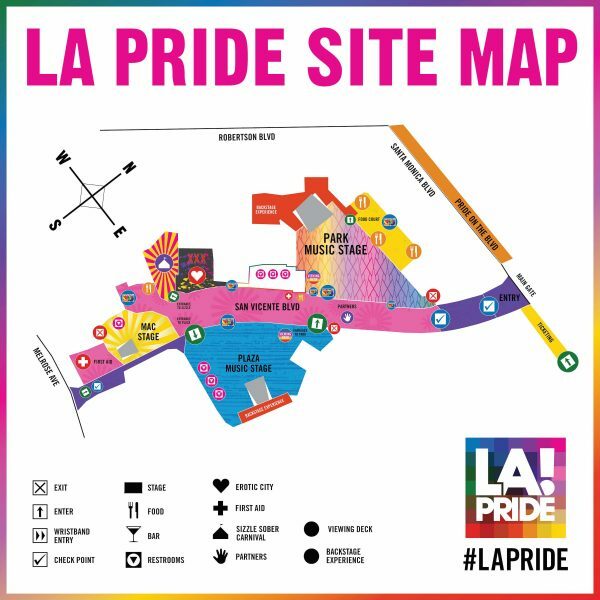 Maybe we will see a pride event in DTLA in coming years and we should be alert to the possibilities of re-inventing Pride in BTWH. They have a Pride event in Downtown LA already.